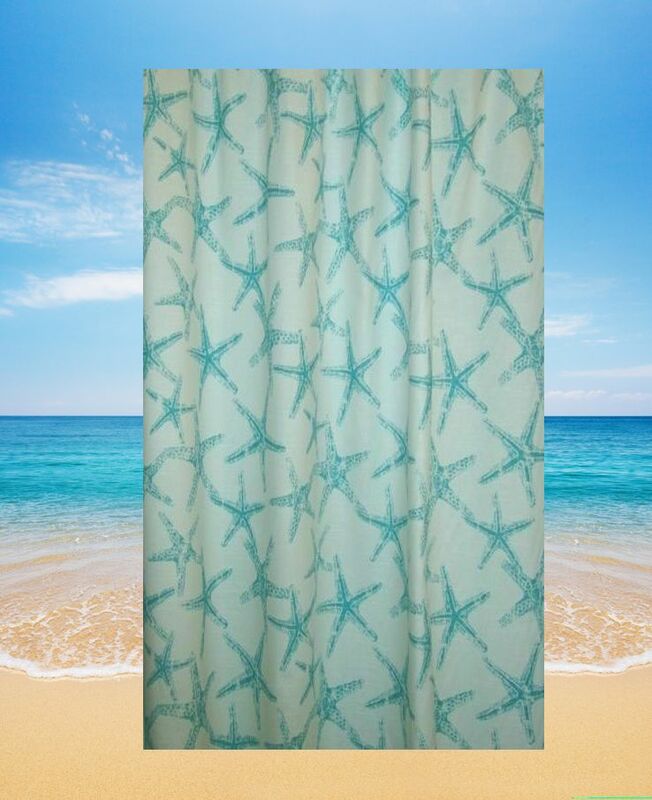 This Starfish Shower curtain has a white background with a blue Starfish print all over. Our Starfish Shower Curtains are made of 100% nice quality textured cotton. 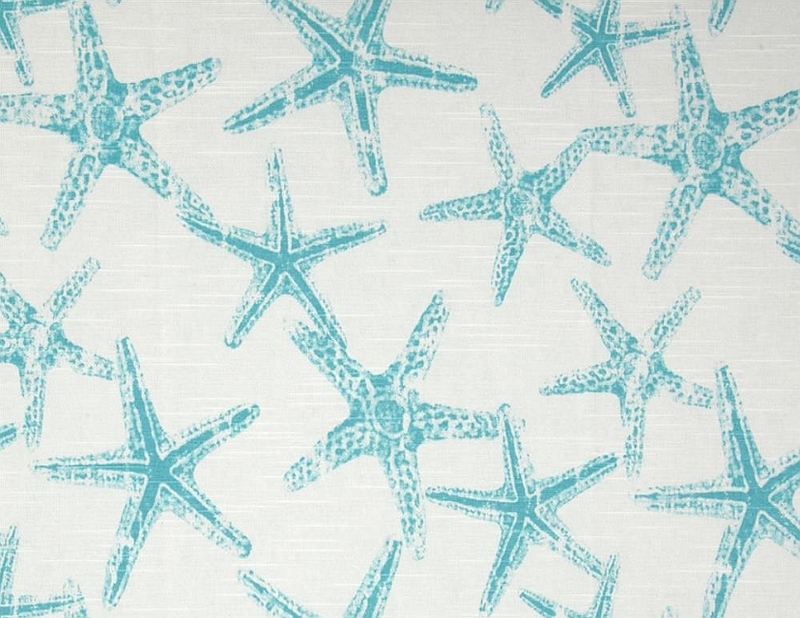 Measures 72x72 and comes complete with a clear shower curtain liner.